So says Sigrid de Kaste. Sigrid lives in Australia. I’m in Canada. And our collaborating partner—TPNI Engage—is headquartered in Boston. 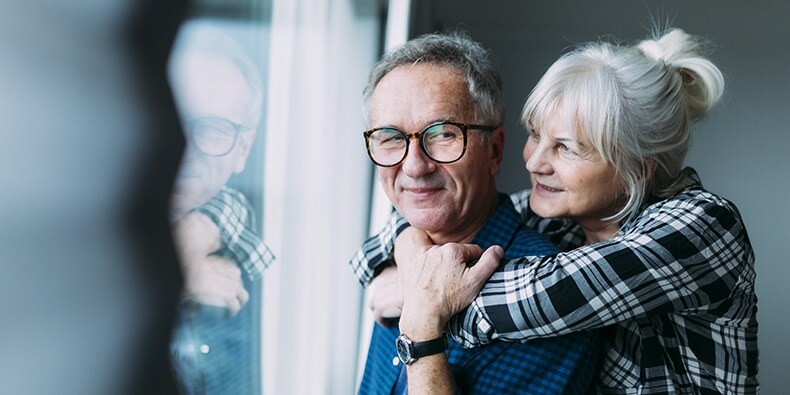 Together, we’re helping baby boomers sell companies by leveraging their best assets, establishing systems, and finding their best buyer to close the deal. Sadly, baby boomers need a lot of help. It’s true for boomers around the world. Let’s go back to Sigrid. Originally from Germany, she moved as a young woman to Australia where she ran several thriving operations over the years. She’s also tackled alliances in Southeast Asia, Hong Kong, and Europe. The accomplished entrepreneur launched a jewellery store—without any experience—where she quickly doubled sales and profits. “My husband-partner knew how to fix clocks, but I had to train as a gemologist after discovering my sales staff didn’t know anything about stones,” says Sigrid. She laughs while recalling, “I learned about fresh-water pearls, coloured stones, diamond recognition, and metal technology.” Then she trained the staff. She sold the jewellery store for double her investment three years later. Next, Sigrid bought into the office supply business—something else she didn’t know anything about. So, the serial entrepreneur asked her accountant for ideas on how to make better margins from pencils and small office equipment. “I paid $1600 to that accountant who gave me a benchmarking report with some graphs to look at. That did not help, at all!” recalled Sigrid. “I needed systems for my plan to improve the margins and prepare the company for sale.” We know that established programs give a clear sense of how a business operates. According to the Australian bureau of statistics, only 21% of business owners Down Under successfully sell their company. That means 80% of small- to medium-sized business might not fund their retirement. In my case, I owned a magazine for business people with my late husband. We launched special events, sponsorships, and international ventures with organizations in Europe, the U.S., and Mexico that wanted to nurture contacts in Canada. The magazine was positioned online during the early days of social media—Twitter, Facebook, and LinkedIn. The magic for me was in reaching new readers by publishing content by our thought-leading columnists and inspired photographers. Keeping up the database also was a priority—given experience from my direct response marketing days in the charitable sector. The magazine sold at a time when traditional media outlets were going broke around the world. Of course, small business moves on a dime compared to multi-nationals, which gave me an edge; the timing was prescient. Yet, the new owner was more interested in a popular event we hosted for young entrepreneurs than the magazine itself. That’s another tip for selling a business: sometimes, a buyer is searching for an opportunity other than the obvious. They may be looking for assets to leverage their own product lines. The magazine sale also opened another door for me. An invitation came from investors to build an internet portal with an international team for wellness experts. Those valuable lessons from the early days of online marketing combined with a life in business are useful for business owners today preparing to sell. Sigrid and I share a passion for helping others to see their dreams come true. We and TPNI Engage are sharing our 7-Step system of 43 videos and worksheets for business owners to realize the real value of their company. Yes, accountants, lawyers, and bankers know the financial undertakings. However, the knowledge of how to better market those assets once they’re counted could make the difference between floundering and success. Small business performance is rising. We want baby business boomers to retire … or to start up another enterprise in their retirement years … by taking advantage of higher sale prices and promising buyers. Sharon MacLean is the President of WorldGate Media, where she coaches, consults, and helps CEOs to adapt their companies for modern marketing. She believes we need entrepreneurs and industry leaders to thrive—and flourish—in our linked-up world. Sharon is a contributing author to the best-selling book: Build to Grow—14 Thought Leaders Deliver Engagement Strategies for the C-Suite. She is also a long-time blogger on social marketing strategies, and digital marketer who refreshes her skills every day. The veteran communicator was a founding Board member of IABC Edmonton (International Association of Business Communicators), founding member of Northern Lights Toastmasters, received the Global Television’s Women of Vision award, and nominated for the YMCA’s Woman of Distinction in business.